Home > Why Converged Infrastructure, Why Now? Digital Transformation is perhaps the single most important imperative facing IT decision-makers today. If your organization doesn’t evolve to a digital model, it faces the potential of significant disruption. However, the journey to digital transformation is not always smooth. 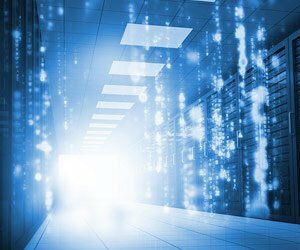 Legacy data centers are a roadblock, with siloed resources, multiple management points and increasing operating expenses. IT must be able to modernize on-premises infrastructure to enable continuous innovation, the transition to IT as a service, multi-cloud models, and the merging of old and new environments. The challenge is to accomplish this modernization in a non-disruptive way that does not put the performance or availability of business-critical applications at risk. Converged infrastructure can provide a fast, secure, reliable and future-proof path to digital transformation, allowing the organization to strike the right balance between old and new infrastructure, both on-premises and in the cloud. The key is to choose a converged infrastructure platform that delivers maximum deployment flexibility and lets you easily and quickly adopt new technology without having to re-architect. A converged infrastructure solution incorporates compute, storage and networking technology integrated into a single pre-configured, pre-cabled rack configuration. The components are pre-tested together by the vendors to ensure compatibility. Consistently high flash performance, enabling a 58% improvement in application performance. Extremely efficient IT infrastructure — in terms of performance and storage density, ease of administration and lower costs. High availability that hits the 99.999 requirement. Access this paper to learn the top 5 reasons to go with FlashStack when deploying your next-generation workload. In evaluating which converged infrastructure solution will best accelerate digital transformation, there are several key factors to consider. First of all, you want to make sure you can easily manage your existing infrastructure and new infrastructure together without disruption and without having to go through expensive migrations and forklift upgrades. You also want a solution that gives you flexibility to manage workloads on-premises or in the cloud with a consistent approach. This allows you to transition to IT-as-a-service, seamlessly incorporating public, hybrid and private clouds. You can choose which cloud works best based on the needs of your organization for specific workloads and applications. Finally, you want a solution that enables you to incorporate innovation rapidly, without having to go through lengthy procurement and deployment processes. This will enable you to empower and accelerate development teams, simplify processes for IT personnel and drive improved productivity among users across the board. Maximum uptime. An architecture designed for zero planned downtime, so IT can adopt new technology without having to re-architect. Flexibility: Infrastructure for traditional and converged operating models, so customers can consolidate at their own pace. Multiple deployment options: Converged infrastructure for multi-hypervisor, bare metal or container deployments. Multi-cloud agility: Built for the cloud, including full integration with cloud platforms from Cisco, VMware, OpenStack and others. Management simplicity: Standard management tools, processes and investments. Opex or CAPEX Customers can pay for the portion of FlashStack technology consumed and dial capacity up and down as needed. 431% five-year ROI, with 10 months to payback. 46% lower five-year cost of operations, and a 3% gain in net productivity for users. Are you ready to simplify your path to digital transformation, so your organization can be “digitally determined” rather than “digitally distraught?” To learn more about how you can use converged infrastructure to accelerate digital transformation, please visit Pure Storage and Cisco. 1 “As Global Leader in Digital Transformation Research, IDC Reveals Worldwide Digital Transformation Predictions,” IDC, Nov. 7, 2018. 2 “FlashStack Delivers Business Value Through Efficiency and Improved Performance and Scalability,” IDC, September 2018.